Doctors have warned that decreases in restful, deep sleep in old age could be an early sign of Alzheimer’s disease before signs of memory impairment show. US neurologists found volunteers who had less restful sleep had higher levels of the toxic substance tau, an abnormal protein molecule found clumped together in the brains of patients with Alzheimer’s. Previous research has found links between sleeping less and Alzheimer’s but it is “deep” slow-brainwave sleep that is thought to be most important as this is the period where the brain consolidates memories. “The key is that it wasn’t the total amount of sleep that was linked to tau, it was the slow-wave sleep, which reflects quality of sleep,” said Dr Brendan Lucey, director of the Washington University Sleep Medicine Centre. The study, published in the journal Neurology, recruited 119 people and 80 per cent of them showed no sign of cognitive decline. It used electroencephalograms to monitor the volunteers’ brain activity while they slept then measured levels of tau, and another abnormal protein, amyloid beta, using brain scans and spinal taps to draw cerebrospinal fluid. Alzheimer’s disease is the most common cause of dementia – the progressive collective term for the loss of memory and thinking skills – and affects 520,000 people in the UK. The research cannot tell whether reduced sleep is contributing to Alzheimer’s, or if it’s an early symptom, but if the link is verified in larger trials then questions about sleep patterns could help guide GPs to spot signs early. 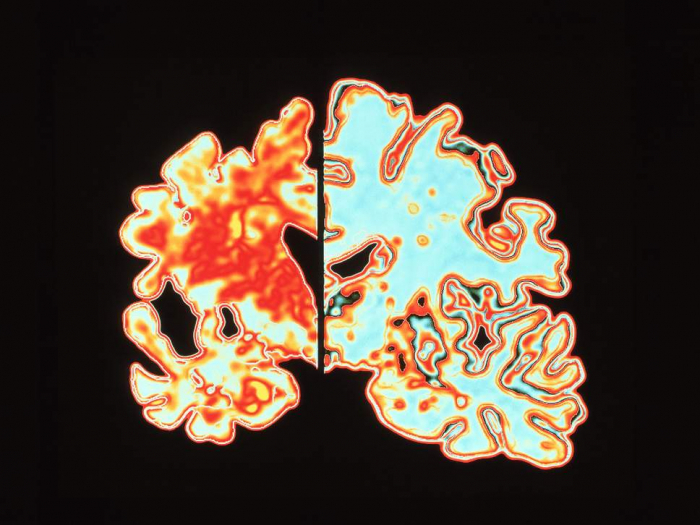 Earlier studies have shown that levels amyloid beta begin building up in the brain as much as two decades before signs of cognitive impairment show, while tau tangles appear at a later stage. While there are no treatments to stop or slow dementia, being able to detect it before symptoms manifest would be a vital step to identifying people for testing future drugs. “We know there’s a link between sleep and dementia, but there’s still a lot to learn about this relationship,” said Dr James Pickett, head of research at the Alzheimer’s Society.